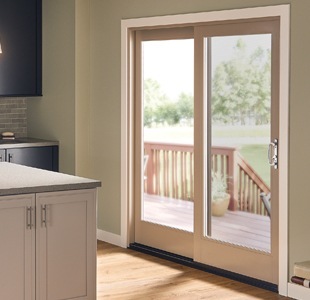 Ultra Series fiberglass patio doors are built to last and accent your home with a beautiful, contemporary style. 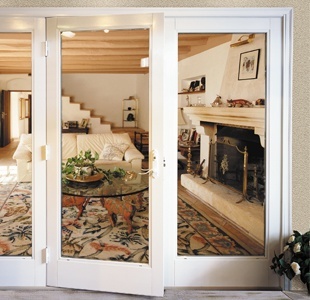 Durable, beautiful, fiberglass patio doors. Create a grand entrance with Ultra Series fiberglass, French-style patio doors. These French doors are a simple addition that can add intricate detail to your space. Available in traditional swing style or sliding, you can enjoy a beautiful view of the outdoors while admiring the elegance of the door itself. Ultra Series fiberglass patio doors are available in seven exterior frame colors to match your home beautifully. All Ultra Series interiors come in white, except Harmony, Bark and the popular Black Bean, which can be color-matched for the interior and exterior. Ultra Series fiberglass patio doors are strong. Because of its inherent properties, fiberglass is resistant to swelling, cracking, warping, peeling, splitting, corrosion and is virtually impervious to water. Choose from our energy efficient options to meet or exceed ENERGY STAR® requirements in your specific region. Milgard® Ultra Series patio door hardware is not only attractive, it’s also easy to operate, durable and secure. Painted finish colors include: dark bronze, white, clay, black and tan. Plated finishes are brushed chrome, or satin nickel. Ultra Series patio doors come with the Milgard Full Lifetime Warranty, including Glass Breakage Coverage. We will repair or replace any defect in materials or workmanship and will pay the costs of all parts and labor for as long as you own your home. The warranty extends for 10 years from the install date if the home is sold. This door is more solid than the door we replaced. I didn’t think that possible. I am thrilled with my selection of the French Style slider. My new door has a much more open view. I highly recommend Milgard. Very happy with the look and feel of the Ultra Series French Doors. We were able to get a custom size and love the hardware we chose. These fiberglass French doors are very nice. Real impressed with the build quality and the seams too. 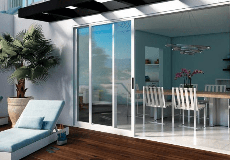 Ultra Series French-style sliding patio doors give your home a touch of elegance. On a French door, the lower rail is taller than the top and sides, which is aesthetically pleasing to the eye. Sidelights can be added to any operating style. 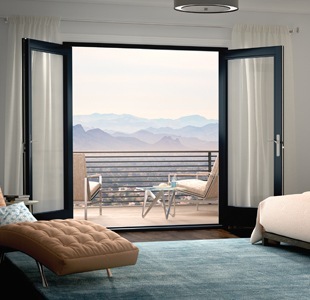 Ultra Series French-style in-swing patio doors can make an impact on the look of your room. The door swings inward for an elegant entrance into your home. This style is ADA compliant and ideal for rooms with ample interior space to allow the door to swing freely. Creates a beautiful double door look. This high performing door can bring a classic, timeless look to your home. With Ultra Series French-style out-swing patio doors, the hinge is on the exterior of the door, allowing the door to open outward. This style works well for homes with spacious patios and is ADA compliant. Ultra™ Series Patio Doors is rated 3.7 out of 5 by 169.